What should I expect to happen after I contact your office? After you call in, you will speak with one of our attorneys. We'll ask you some basic questions about your job and your employer. That may trigger a more detailed investigation using our access to various legal and corporate databases. It turns out that some companies violate the law over and over again and we like to know their history. If we believe you have a valid claim, then we invite you in to talk about your case in person. If you don't live in the Houston area, we will either travel to meet you or we can often handle much of the paper work through email or regular mail. We'll review the "no recovery, no fee" agreement with you and answer all of your questions before you become our client. Once you hire us, we then make a decision to either file your claim in court, or make an effort to resolve the claim without litigation. We've concluded over the years that our clients are better served if we file a lawsuit from the start because the defendant employer knows we mean business. The company typically hires an attorney to defend them and then we set up a schedule to exchange documents and, sometimes, agree to dates to ask each other's clients questions under oath at an office meeting called a "deposition." Once we've reviewed all of the record available on each side and discussed all of the relevant questions with fact witnesses, we are usually able to reach a settlement agreement that is fair to our clients. Of course, all decisions to accept or reject an offer belong to the client. We will give you are professional opinion naturally. In the event the matter cannot be settled, we often will request that the judge rule in your favor as a matter of law. In other words, we believe the law and facts are so clear that there is no need to go to a jury. If that does not work, then we can proceed to trial where a jury will make the final decision. My supervisor asks the sales team to stay late on projects in return for buying us dinner on the company credit card—but shouldn’t we be making overtime pay for these extra hours? Although many employees may think buying dinner for the team is a nice gesture from an employer, these kinds of gestures are not a substitute for paying legal wages. Sales representatives are often pressed to stay late or put in extra hours on projects, and it is only fair that they should be paid in accordance with the law for their hard work. Unfortunately, employers do not always follow the rules, trying instead to wheel and deal their way out of paying overtime. Many sales representatives are eligible for overtime under federal labor laws, and they cannot simply agree to work these hours without pay in exchange for dinner on the company card or some other alternate form of compensation. Instead of making deals, your supervisor should be keeping track of the hours you work and counting any time you put in over 40 hours each week toward overtime—even if you are paid a salary. If your employer wants to spring for takeout on a long night, it is a nice incentive. However, it does not legally make up for the pay you are missing out on. If you are eligible for overtime and you work more than 40 hours in a week, then you should receive time-and-a-half pay for your overtime hours. However, it is not always that simple. Some sales representatives are eligible for overtime and some are not. The only way to tell for sure is to look over your job duties in addition to your hours, pay rate, employee classification, and more. If you have questions about your overtime pay as a sales representative, speak with our team today for clear answers and a free review of your overtime situation. What are the criteria to be labeled as an intern or trainee as opposed to an employee? How does this determination affect my pay? The Fair Labor Standards Act (FLSA) is a remarkable piece of legislature which helps protect and secure employee rights and wages. It helps regulate what and how employers pay their employees while also guaranteeing specific workers’ rights such as safety and wage security. However, although it lays a protective blanket over a good number of employees and workers, it unfortunately leaves some out in the cold by putting exemptions on their work titles. As a result, a common employer technique used to avoid having to pay fair wages and overtime is to misclassify or misrepresent job titles. In other cases, the FLSA doesn’t intentionally exclude workers, but it doesn’t cover them either. A specific instance involves student internships and training programs. The FLSA only addresses the term "intern" twice where it exempts Congressional interns from the definition of "employee," and where it is explained that medical interns do not have to be paid on any particular basis. From these excerpts the U.S. Supreme Court (1947 case Walling v. Portland Terminal Co., 330 U.S. 148), ruled that certain types of trainees shall be completely excluded from FLSA coverage as they are not classified as employees. However, the requirements for such total exclusion are quite particular. Work duties and responsibilities are designed to teach. Although the work will be performed in an actual business setting, the training and duties of the employee (intern/trainee) must be constructed in such a way that the employee will learn from the experience as if his duties were preparing him for a similar career (responsibilities akin to vocational school). A training certificate may also be necessary for the completion of the training that the employee could use as a qualification on subsequent job applications. Training benefits trainees not strictly employers. If an employer is withholding monetary payment for work, he must be able to prove that he is “paying” the employee with valuable experience or at the very least helping him build his resume to make him more hire-able and attractive for future employers. Trainees are under constant supervision. To be able to say an intern or trainee is not an employee than his duties may not displace regular employee duties or allow him to work without observation. The trainees do not displace regular employees, but work under close observation. Employers must not derive immediate benefits as a result of the training program or work completed by the trainees. Since the actual productive work will be completed by “paid employees,” the duties and responsibilities of the trainee or intern should not have a huge positive effect on the employer as he is not paying for the work. Job security isn’t guaranteed. In order to claim training or interning status the employer must make it clear to the trainee that the work performed during training does not guarantee him a permanent placement in that job. 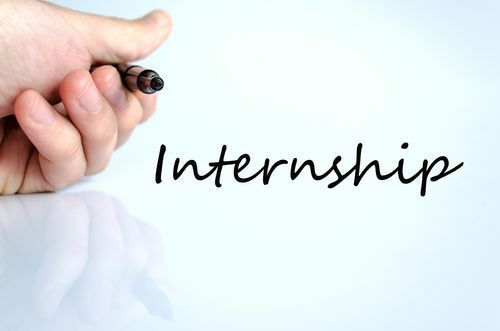 Although an intern or trainee can be hired in as an employee, an intern can’t continue his “internship” indefinitely without pay. Informed consent and understanding of limited wages. In order for an employer to deny wages and overtime to an employee in training, he must make it perfectly clear that trainees are not entitled to wages for the time spent in training. If the employee was unaware of the withheld wages or didn’t explicitly sign an agreement stating that payment for training services shouldn’t be expected, then the employer may be liable for lost wages. Although it’s useful to know the criteria for being subjected to training and internship pay, what do you do if you’re not an intern but still getting paid as one? If your work duties and requirements don’t satisfy at least two of the above internship and training guidelines you should be receiving full pay and benefits. Unfortunately, employers like to avoid paying their employees at any cost. Unfortunately for them, we like to make sure our clients get rewarded for their hard work, whether it be through learning, school credit, or reasonable wages. Contact us today for a free consultation and see how we can help you get the money you have rightfully earned. Can I recover overtime pay if I have not kept track of all the hours I worked? If you are an accountant or an auditor, you likely have been asked to work more than 40 hours in a workweek, especially during peak seasons. You may not have been fairly compensated for this work. Most salaried employees do not keep records of the time they work. They are not required to. When these workers realize they were shorted funds because they were never paid overtime pay, they may worry that they will not be able to collect back wages since they have not kept detailed records. Given the strict record-keeping obligations of most accountants and auditors, these concerns may be felt even more strongly by this group of workers. Courts are familiar with this situation. It is an employer’s duty to keep track of the hours worked by its employees who are owed overtime pay. If an employer failed to correctly classify an employee and thereby did not track the employee’s working hours, it is the employer’s loss. In most cases, courts will accept the employee’s reasonable estimate of the amount of time the employee worked. So, an employee may still recover overtime pay, even if the employee does not have exact records of the actual time worked. If you are an accountant or an auditor and you believe you should have received overtime pay, contact the overtime pay attorneys at Kennedy Hodges LLP. To schedule a free consultation with one of our overtime pay lawyers, call us at 888-449-2068 or fill out an online form. The federal wage and hour laws cover tipped employees when it comes to minimum wage and overtime pay. But many states also have additional wage laws that provide more employee protections than the Fair Labor Standards Act. New York is one state that affords extra protections to employees. One of its provisions is a statute that requires that employees who work over 10 hours in a day from start to finish, even if there is a mid-day break, must receive an additional hour’s pay at minimum wage. This is the spread of hours law in New York. The spread of hours includes work time, plus time off for meals and off-duty intervals. If an employee picks up a double-shift in a restaurant, like a morning shift (10:30 a.m. to 1:30) and then also works an evening shift (6:00 p.m. 08:30 p.m.), New York law stipulates that the worker is eligible to be paid an extra hour because the spread of hours exceeded 10 in one day. If you need a New York employment lawyer, send us a contact form for our employment lawyers to review your case for free. You can also order our free book, The 10 Biggest Mistakes that can Hurt Your Wage and Overtime Claim, to learn more about wage and hour claims. Our firm has successfully represented tipped employees nationwide. Can my employer change my time sheet or clock-in time? There are only certain reasons why an employer should adjust your time clock. If you forget to clock in, for example, an employer would fix this for you, or another example is that your employer needs to adjust vacation hours. However, there are many employers who change employee’s actual hours to reflect less hours worked, like changing 45 hours to 35 hours. By doing this, employers avoid paying federal overtime pay. The Fair Labor Standards Act mandates that employees should be paid for every hour of work so if your employer changes your clock-in-and-out times and cheats you of hours worked there could be other wage scams going on. Employers use various wage scams across all industries to cut employees' pay. If you have been a victim of unfair wage practices, you can fill out our contact form or call 888-449-2068 to have one of our experienced employment lawyers review our case free of charge. Blog: Has your employer ever adjusted your hours? Do I have any rights if my employer's paychecks keep bouncing? My boss keeps telling me I will get paid but I cant wait any more. Under federal banking law, an employer is required to have enough funds in the bank to cover the check, and in all states employers are required to timely pay employees for their services. Unless it was an honest mistake, it is illegal in almost every state for employers to purposely bounce employee checks. If your employer’s checks keep bouncing you should keep your own accurate record of your hours and days worked. Often, these kinds of scenarios open the floodgates to what is really going on behind the scenes, which can include altered time sheets, incorrect hours reflected on your check, unpaid overtime, unlawful tip pools (tipped employees), and many other wage scams. If you want to learn more about taking action against unfair pay, order our free book, The 10 Biggest Mistakes That Can Hurt Your Wage and Overtime Claim, to learn more about wage and hour claims under the Fair Labor Standards Act. Read more: My employer’s check bounced. Isn’t that illegal under the labor laws? If I'm paid a salary, do I lose my right to overtime pay? Can my employer make me clock out for lunch even if I do not get to take a break? Generally, an employer is free to set an employee’s work schedule. This includes an employee’s break times. Many employers have valid reasons for scheduling employees’ lunch breaks at certain times. For example, by staggering employees’ lunch breaks, an employer can ensure that there always is an employee available to answer telephone calls or to cover the business’s reception area. This is especially important for retail establishments. A retailer needs to have enough people on the floor to ensure that customers’ questions can be answered quickly and that customers can check out without waiting in long lines. While an employer can schedule an employee’s lunch break time, the employer cannot control what an employee does during that break time. When an employee is on an unpaid break, the employer must completely relieve the employee of any work-related duties. An employer cannot force an employee to “clock out” and then require the employee to continue working during that time. If you are a retail worker and you believe you have not received pay for the work you performed, contact the wage and hour violation attorneys at Kennedy Hodges LLP. To schedule a free consultation with one of our wage and hour lawyers, call us today, toll-free at 888-449-2068. You can also reach us by completing our online contact form. I am a porter at a car dealership and I work more than 40 hours a week but my employer never pays me overtime. Is this legal? The wage and hour laws have certain exemptions that apply to some car dealership employees. However, these usually apply to salesmen, partsmen, or mechanics. If your job duties do not fall under one of the exemptions in the Fair Labor Standards Act you may be owed overtime by your employer. Many car dealerships incorrectly apply exemptions to every employee, without consideration of their job duties. If you are working more than 40 hours a week but you are not paid time-and-a-half you should contact our employment lawyers to do a free case review of your job responsibilities. We can determine whether you are being paid correctly with a quick review of what you do and how you are paid. Protect your paycheck by sending us a confidential contact form, or by calling us at 1-888-449-2068 to start your free, no obligation case review. Read the full article: Car dealership porters – are you paid overtime? Find out if your employer owes you wages.